Birmingham is such a beautiful city. It’s a place for foodies, craft beer connoisseurs, music fanatics, and, of course, outdoor enthusiasts. Unlike the amazing restaurants, music venues, and breweries, our green spaces depend on charitable contributions to keep their operations going. We at Airship indulge in the green spaces here in Birmingham quite often. Whether it’s mountain biking at Red Mountain, playing frisbee in Railroad Park, or enjoying the well-maintained trails at Ruffner Mountain, these spaces are vital to Birmingham. An important part of Airship’s mission is finding ways to give back to our community. The release of iOS 10 and its ability to develop applications for the iOS 10 iMessage platform presented a unique opportunity for us to use our technology expertise to help raise money and awareness for the green space needs. 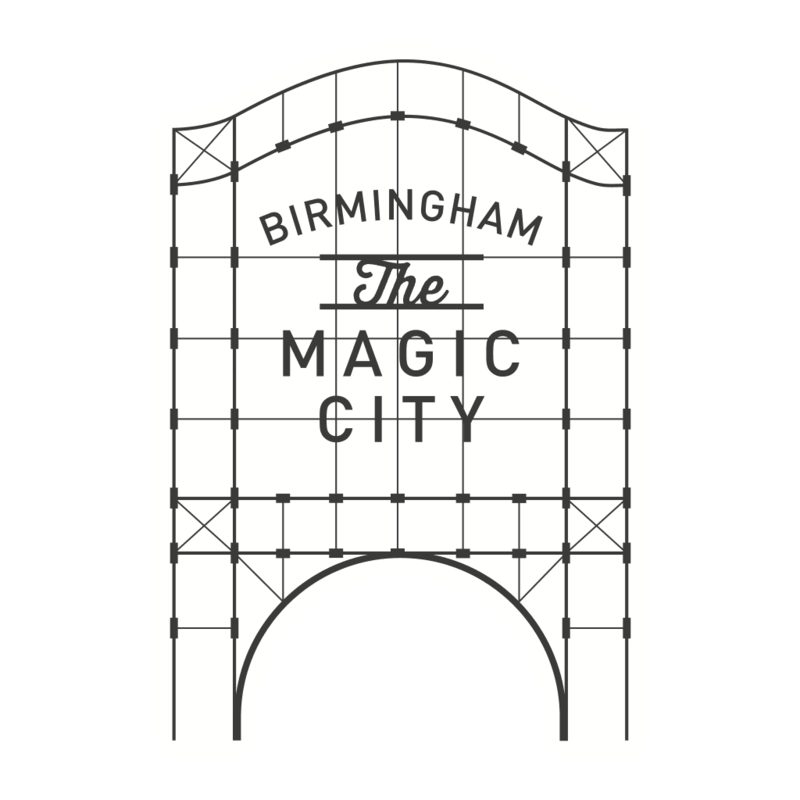 The Magic City Sticker Pack is an excellent opportunity for Birmingham companies to give back to the community. Magic City Stickers showcases Birmingham’s amazing companies and landmarks and directly impacts the green spaces that we all know and love. Corporate contributions of $50 (or more) will feature your company’s brand in the Magic City Sticker Pack and 100% of the proceeds will be donated equally to Red Mountain Park, Railroad Park, and Ruffner Mountain. Airship is extremely excited to be a part of corporate Birmingham and invite you all to take the opportunity to develop your brand awareness as you give back to our greens spaces. Be a part of an initiative designed to help our parks grow and keep Birmingham beautiful, just like its people and the companies they work for. Join us in helping continue making Birmingham a beautiful place by joining Magic City Stickers, and make sure to head to the iMessage App Store to download the sticker pack. Railroad Park is a 19-acre green space in downtown Birmingham that celebrates the industrial and artistic heritage of our great city. Situated along 1st Avenue South between 14th and 18th Streets the park is a joint effort between the City of Birmingham and Railroad Park Foundation. Hailed as “Birmingham’s Living Room,” Railroad Park provides a historically rich venue for local recreation, health and wellness classes, family activities, concerts, and cultural events. Red Mountain Park, a non-profit organization, offers 1,500 wooded acres located in Birmingham, 3 miles west of I-65 (Lakeshore Parkway Exit #255). Visitors enjoy over 15 miles of walking, hiking and mountain biking trails, Remy’s Dog Park and unique outdoor adventures: the Vulcan Materials Zip Trip, the Hugh Kaul Beanstalk Forest, the 80-foot Kaul Adventure Tower with a 1,000 foot Mega Zip and more! Beautiful destinations – the historic ‘Hoist House,’ viewing platform Treehouses (Haskell Hideaway, Riley’s Roost, & Rushing Rendezvous) and iron ore mine entrances – both surprise and delight Park guests. Universally-accessible parking, restrooms, and other needed amenities are in development. At 1,038 acres, Ruffner Mountain is one of the largest privately-held urban nature preserves in the United States. Originally founded in 1977, Ruffner’s mission is to raise ecological awareness as Birmingham’s premier resource for urban nature education. Its storied lands—once mined and clear-cut—are now daily reclaimed and restored, as Ruffner continues its work to stitch the wounds of the land and community back together again. Today, Ruffner Mountain is once again home to a biodiverse population of flora and fauna, and each it is visited by over 100,000 guests for its beauty, its 14 miles of trails, and the best views in Birmingham. To get started we needed some Birmingham companies to allow us to use their brands. We want to thank them for their support!